Producing cold cuts used to be a physically tasking job with lots of unnatural movements. Working with S.A.M. machines is easy, fun and not detrimental to your health. They are ergonomically designed, making them ideal helpers for your employees. SamPak fresh packaging boasts a range of advantages which include time-saving, stress-free shopping and most importantly genuine freshness. Through contact-free production and immediate packaging of the freshly cut slices, the special foil preserves the cuts freshness for approximately seven days – all without gas, additives or vacuum. The best slicing machines and packaging systems in the world, are designed with an intensive IQ management. This in turn supports S.A.M. customers in economically achieving their sales targets and special requests. 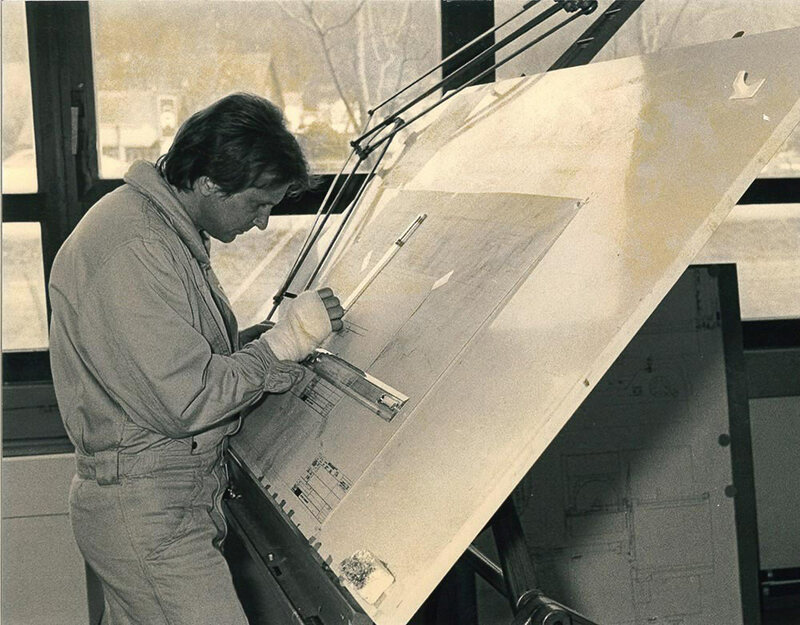 The Kuchler Group is led by entrepreneur and inventor Fritz Kuchler. 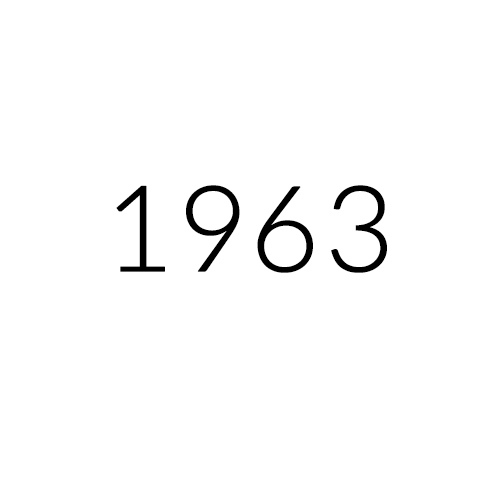 In 1963, he took over the company, which his father founded in 1926. At the age of 23, he became the youngest general representative of Bizerba. From an early age, Fritz Kuchler has had insight into the problems that are faced by users of slicing machines from butchers to shop assistants. This insight was the propelling force behind his revolutionary ideas of bettering and improving the vision of automated cold cutting machines. Electronics are equally a pillar in realizing Fritz Kuchler’s vision. 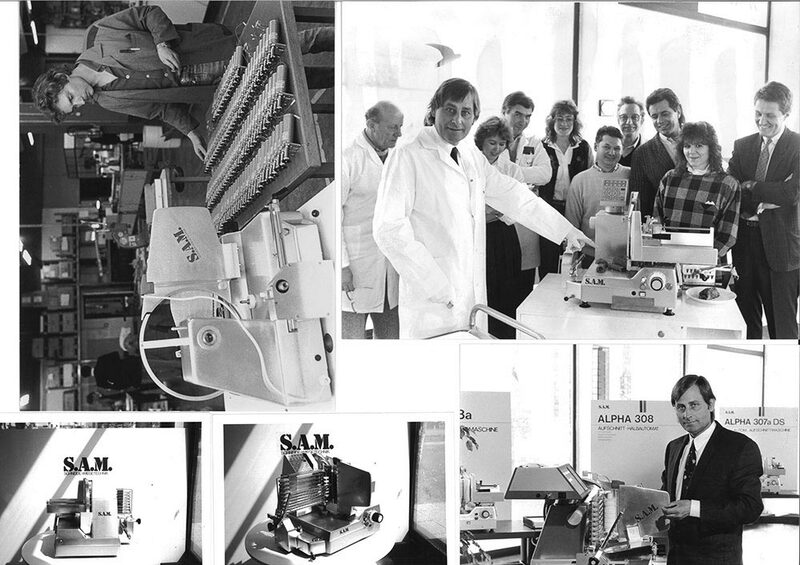 In 1971 he launched the world’s first electronically controlled slicing machine on the market. 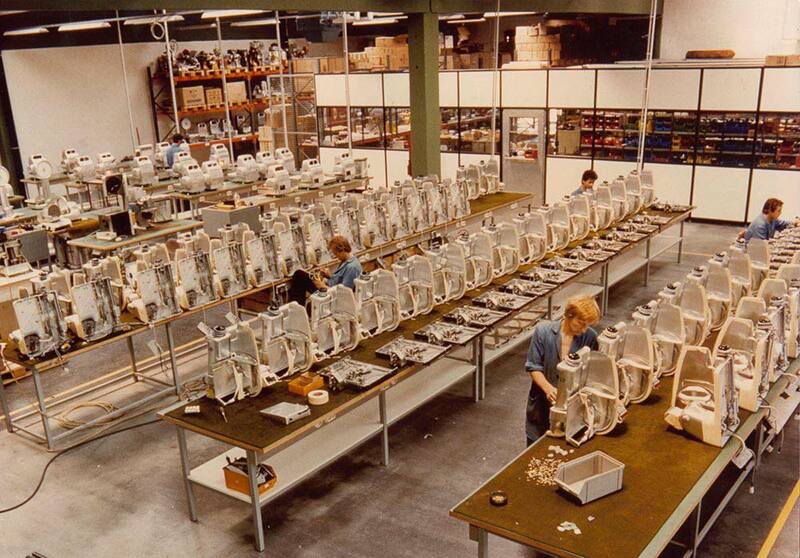 It laid the foundation of establishing a modern company with an extensive development department, its own production and sales under the S.A.M. brand. 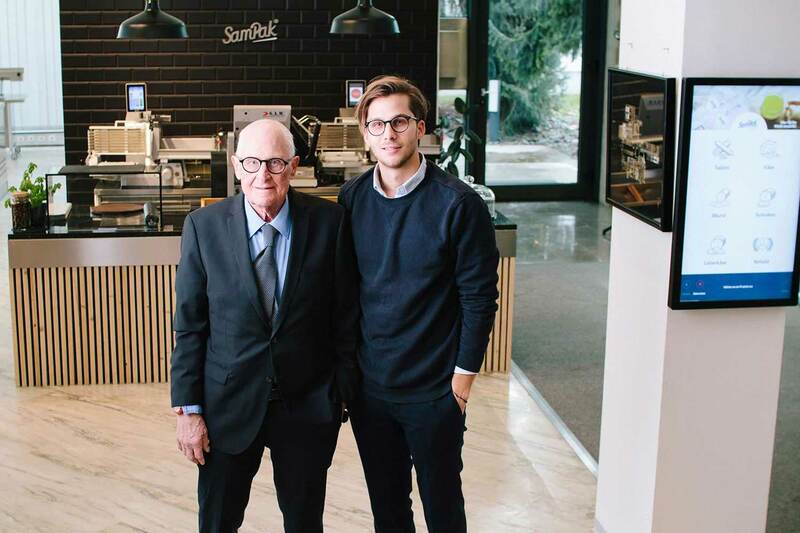 In 2018, his son, Constantin Kuchler was appointed co-CEO. During Fritz Kuchler’s higher education, he was also a salesman for scale machines in his father’s company. In spring, at the age of 23, after his father’s passing, he took over the company with 5 employees. By September he became the youngest Bizerba general representative for regional sales. 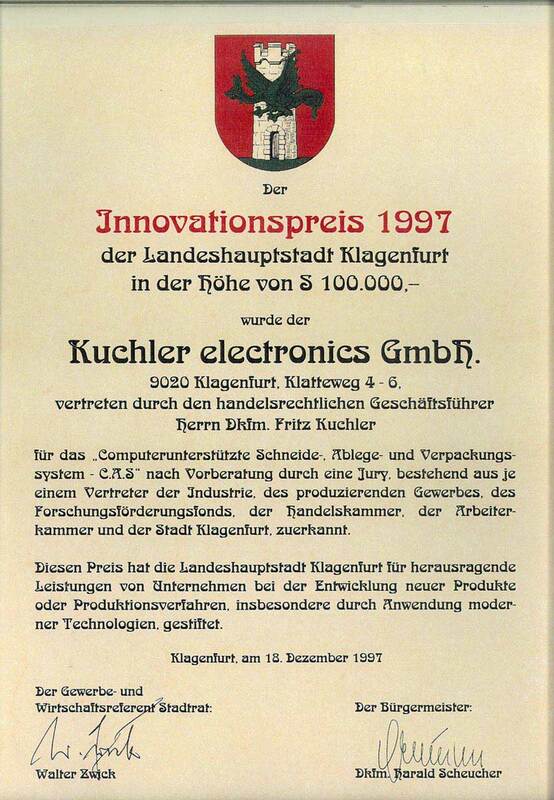 The development department was founded – Kuchler Electronic Constructions. This enabled a vision to become reality, automatic slicing and depositing without the help of the hand. 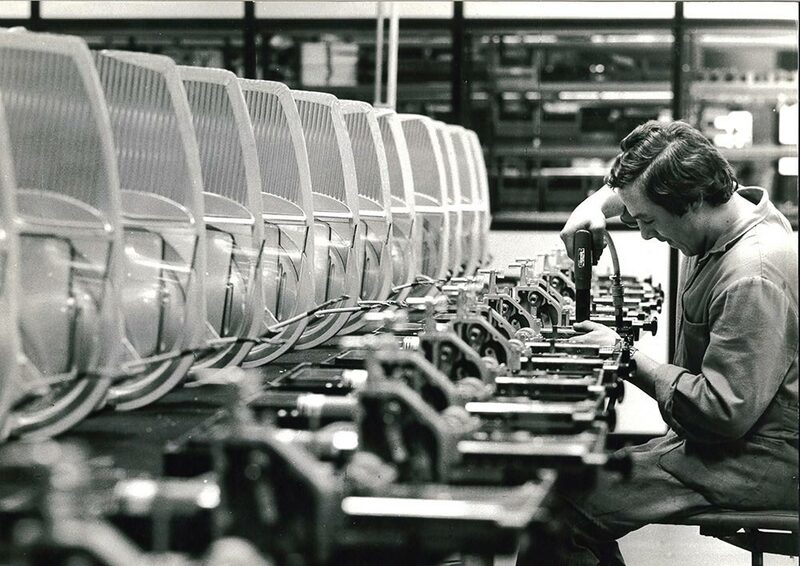 The revolutionary innovation of the microprocessor was at the root of this development. Patent application for the new development: Mechanical depositing system with electronic control. Patents were granted in 1970 aNd 1970, for 5 countries. The world’s first electronic slicing machine was born. That following year, a ground-breaking presentation took place at the Gast Expo in Klagenfurt. It showcased a world novelty – Electronic, controlled despositing system, which was integrated into a Bizerba slicing machine. This presentation was very fruitful and led to an increas in sales. Bizerba kept the rights f0r sale of this Kuchler/Bizerba device fusion, for the rest of Austria and Germany. 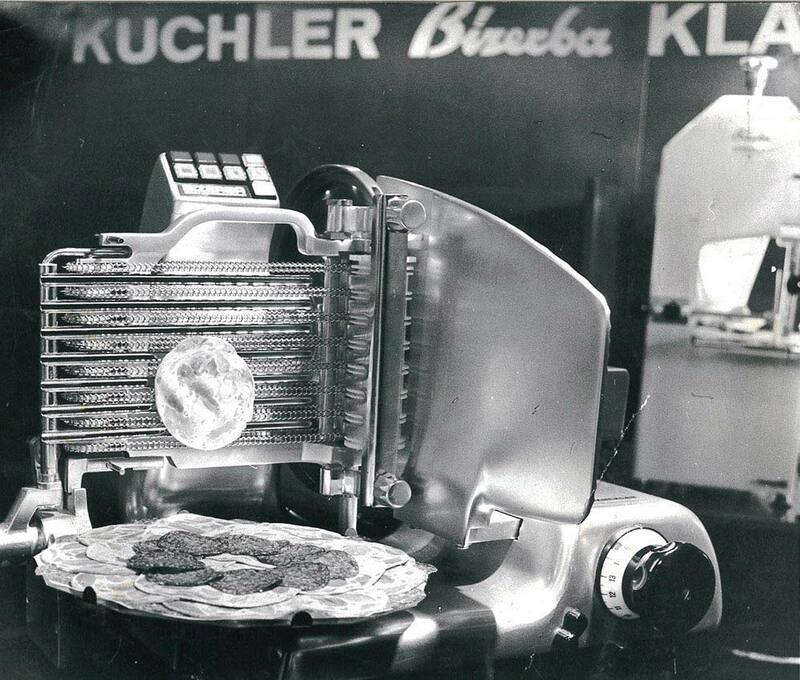 Kuchler began series production and refinement of Bizerba slicing machines with electronic depositing systems. 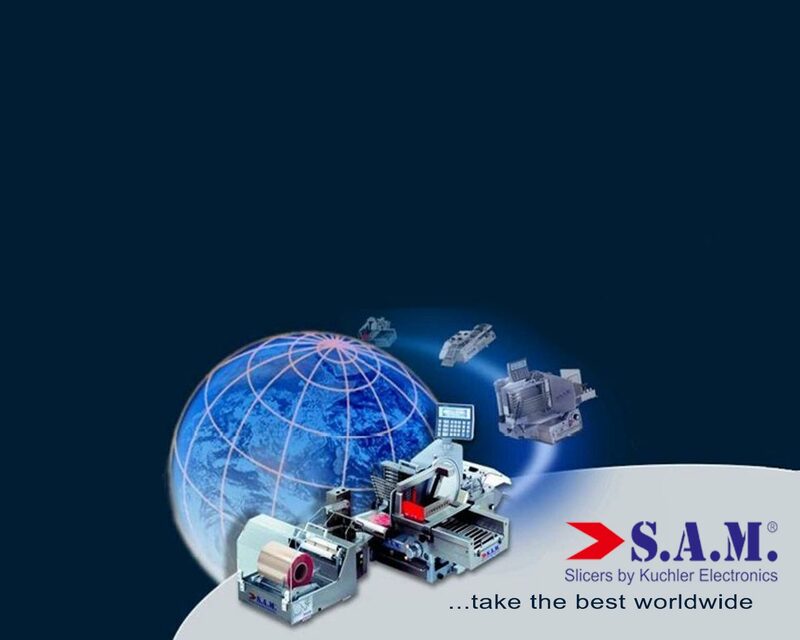 Kuchler launches a complete series of system slicers and electric scales under the brand S.A.M. S.A.M. equipment is initially sold in Austria through dealers, with the exception of large customers such as the Austria consumer cooperation „Konsumgenossenschaft“. 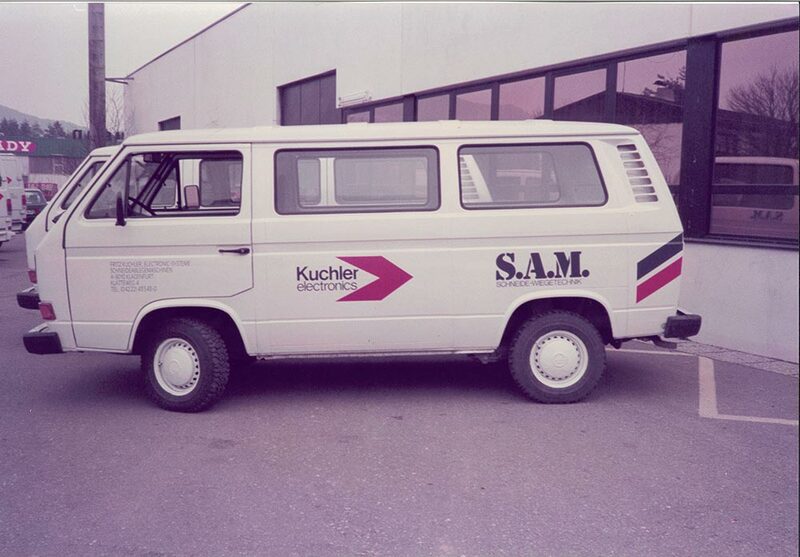 As soon as Kuchler Electronics GmbH and Kuchler Electronics Deutschland GmbH were founded, direct sales overtook intermediaries in Austria and Germany. International presentation at the IFFA in Frankfurt took place. It was a great success, as it was televised and several press conferences were held. Contracts were signed with representative dealers from 8 countries, which in turn meant that an immediate expansion took place. After receiving the Innovation Award Klagenfurt for the product line S.A.M. 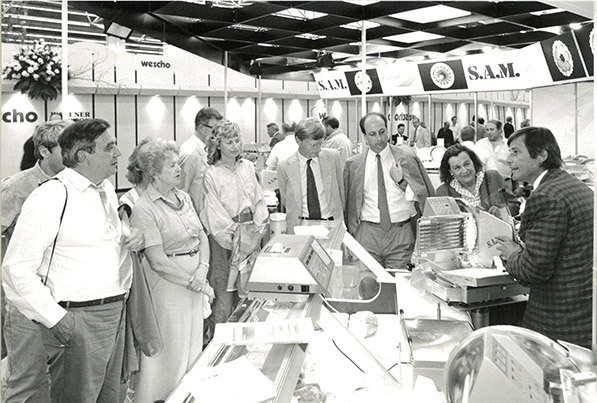 System Slicers in 1990, the company was founded and sold directly in Holland and Belgium, an exclusive contract with Hobart for the sale of the systems in the USA, and a Rent-a-Chalet (Kuchler Group) was founded as a forerunner of today’s KIS Kuchler Intelligent Solutions division. A supply contract with Berkel Germany for S.A.M. devices under the brand Berkel Type VA/TA was signed . After receiving the second Innovation Award Klagenfurt for computer-aided cutting, depositing and packaging system C.A.S. (the predecessor of Slice & Pak Systems), Kuchler Electronics CR s.r.o., Kuchler Electronics US Inc. and KIS Kuchler Intelligent Solutions were founded from 1998 to 2000. In 2001 the first Slice & Pak devices S.A.M. Handpak and S.A.M. P1 launched. The introduction of the patent model S.A.M. P2 and the brand packaging SamPak (MFP-Multi Fresh Pack) a year later lead to increase in sales in Germany, the Czech Republic, Holland, Belgium and Switzerland (as well as founding of Kuchler Electronics Schweiz GmbH). In the next two years S.A.M Slice & Pak Systems gains further market shares – with new customers such as Edeka, Metro Future Store, Carrefour, Coop and Manor as well as the cooperation with Avery Berkel France. S.A.M. Compact Slicer-and Packaging system S.A.M. K are introduced. 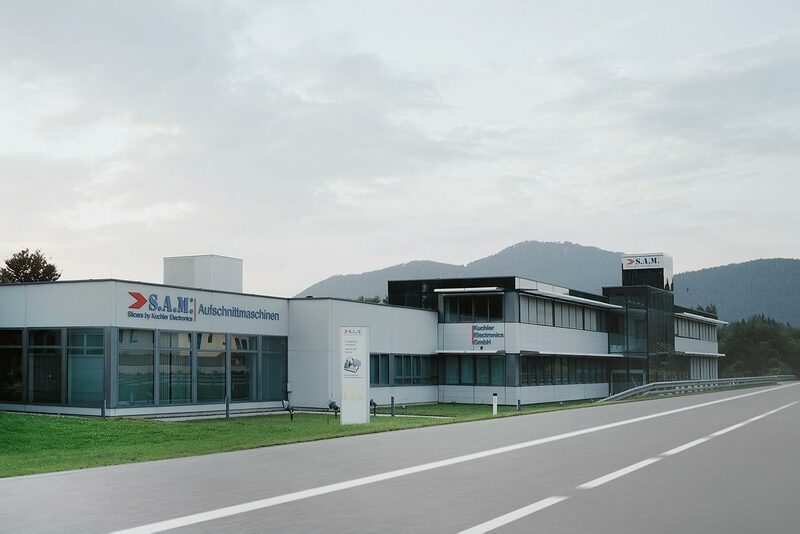 Completion of the new factory building in Klagenfurt extended to 4500 m² with state-of-the-art equipment, including safety and organizational improvements. 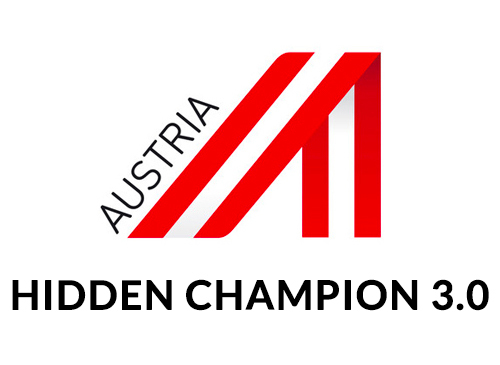 As the winner of the “Hidden Champion” award: Kuchler continues to develop rapidly over the next few years as an SME niche world champion (for 43 years). Several prototypes such as S.A.M. X2 Fast Operation, S.A.M. 3X RP pi, S.A.M. PX3, S.A.M. Restespiker, S.A.M. Pitcher, SamClean are developed. In 2014 the first S.A.M. PX3 was. In 2015, newly developed S.A.M. Robot X3, S.A.M. Robo Packer New and S.A.M. Film Automatic, were ready for delivery. 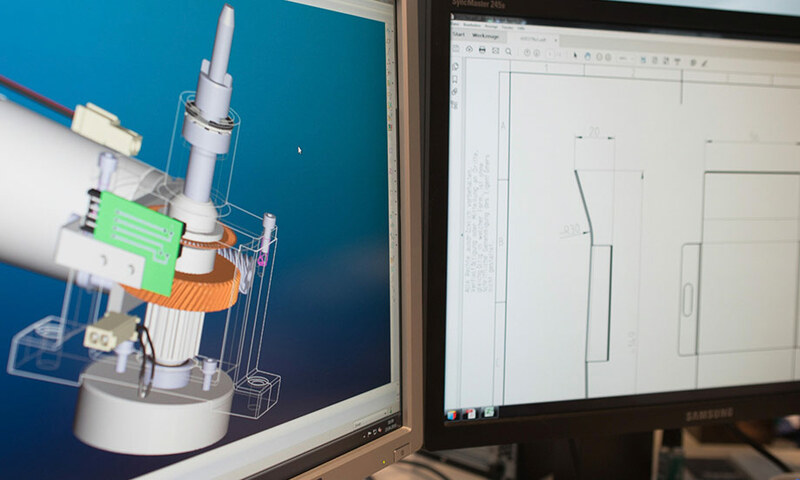 Due to ongoing R&D developments, more than 500 patents have been granted, to date. 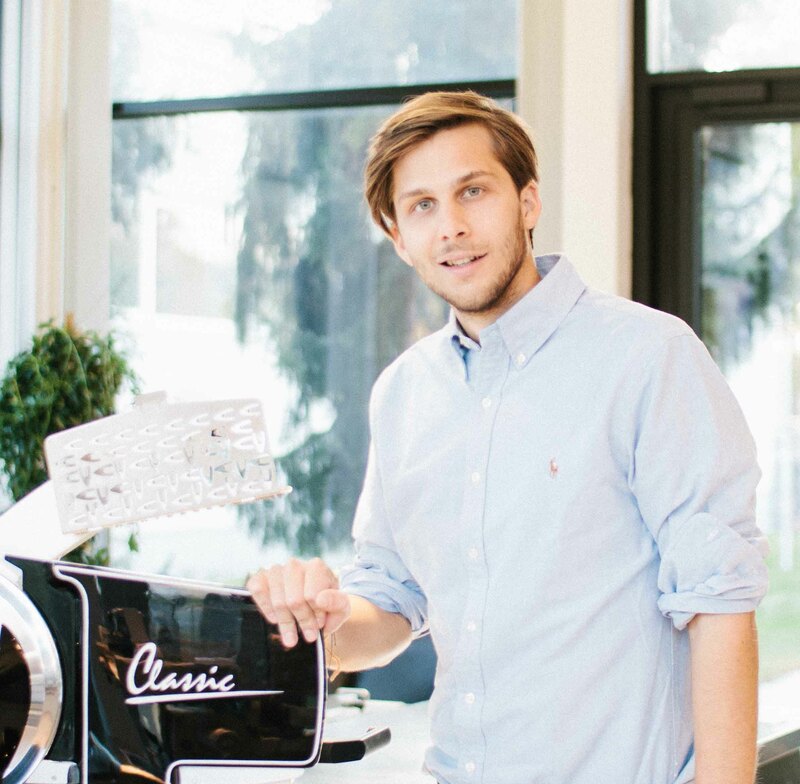 Constantin Kuchler joins the company as head of the marketing department. Launch of the X-series devices. 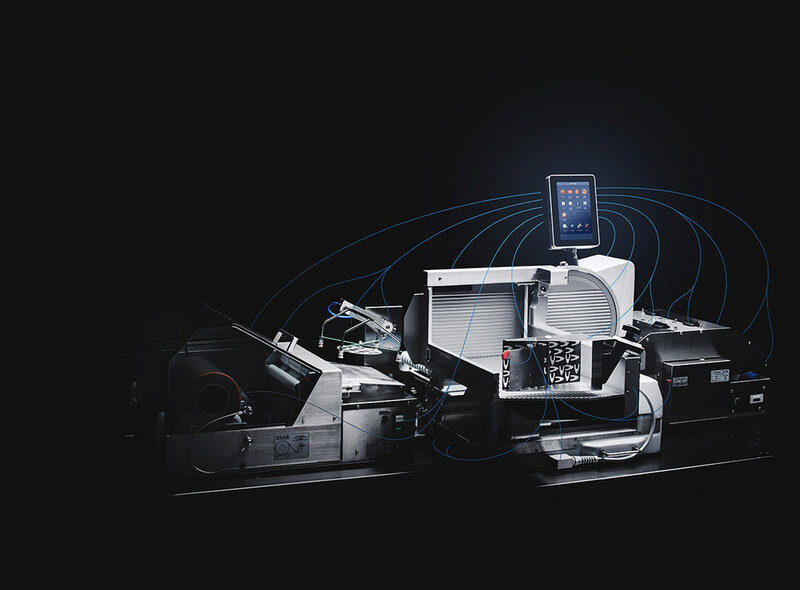 The first fully networkable intelligent cutting systems are born and presented at the EuroShop in Düsseldorf. Constantin Kuchler is appointed co-CEO. S.A.M. supplies the first online supermarkets with cutting systems. S.A.M. Innovations GmbH & Co KG is founded and will lead Innovations, Development and Research.